South Branch AuSable River Wilderness. The Mason Wilderness Float is a wonderful trip for the person who wants to experience Michigan's North woods at its best. 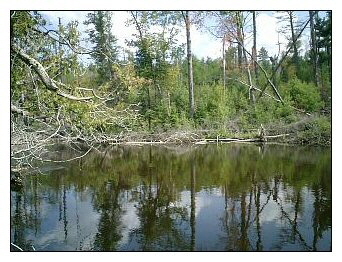 The South Branch of the Au Sable River flows thru the Huron National Forest. This stretch of the river has no white water, is crystal clear and one of Michigan's top trout streams. The pine and cedar lined river is abundant with wild life. If you choose to paddle on a week day you may not see another soul on the river. There are easy designated stops for lunch or just to stretch. The trip usually lasts 5-6 hours and our staff will pick you up at a predetermined time and return you to your vehicle.